Time: December 9th (Sunday), 16:00 – 18:00. Location: Ran Space, 269 KENT AVE.（BTW S1 STR. and S2 STR. ), BROOKLYN, NY, 11211. The event is free to public. $5 suggested donation at the door is welcome. The eighth event will commence with film screening of Chen's two documentaries, The Trail from Xinjiang and Sound of Vision. The event will be followed by a dialogue with the director. The Trail from Xinjiang describes Musa and his friends, all young wanderers in He'nan province, China. Coming from Xinjiang, the Uyghur Autonomous Region on China's north-west border, they now wander around the eastern metropolis, living on no other means but one true skill they have: stealing. During China's market transition in 1990s, kidnapping became rampant in Xinjiang. Thousands of children were taken to the east to pickpocket. In the spring of 2011, Xinjiang Government vowed to take all street children back home. While tremendous attention is given to the children (under 16 years old), the streets are left with young men like Musa, who has received no formal education except for pickpocket training. Their living situation is even worsened by petty crime, durg abuse and prositution in recent years. Oscar-winning producer, Thomas Lennon serves as the creative consultant for the film. Click HERE for the official trailor. Sound of Vision is a glimpse into one man's journey to belong: born and bred in New York, Frank Senior spends his waking and dream-swaddled hours embracing the beauty of the sleepless city he will never see. This short documentary made its premier at 2012 HotDocs, Canadian international documentary film festival and was part of a competition for the International Documentary Challenge, where it won the PBS POV Award, the Jury Award for Best Film, the Audience Award, Best Cinematography, Best Editing and Best Use of the Experimental Genre. It is a collaborative project with four other filmmakers. 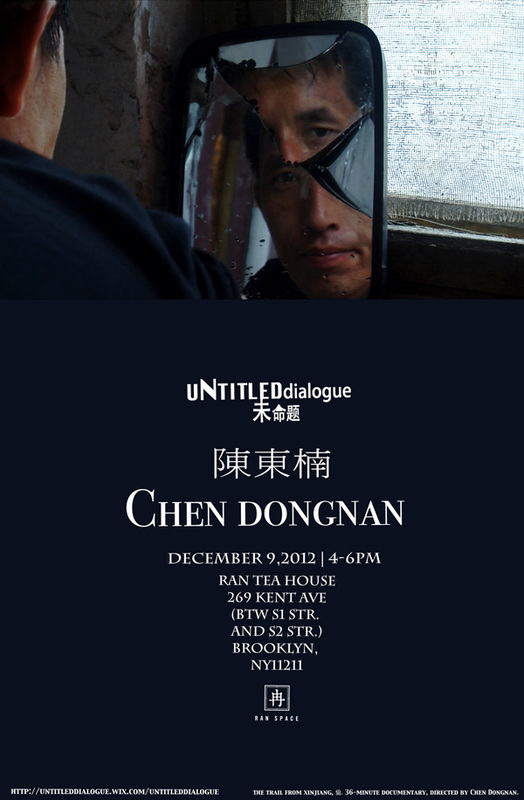 Chen Dongnan lives in New York City. As a graduate from New York University, she is currently active as a journalist and an independent documentary filmmaker in both U.S.A. and China. Her works have been seen on PBS, NBC and NYC TV etc. 地点：冉空间，269 KENT AVE.（BTW S1 STR. and S2 STR. ), BROOKLYN, NY, 11211.